To support muscles mass one needs to sustain a healthy workout routine and proper dietary intake. These suppositories contain a highly absorbable form of branched-chain amino acid, Leucine – an essential nutrient used in protein synthesis. Earn up to 106 DR Reward Points. If muscle protein breakdown occurs at a faster rate than protein synthesis, muscles will become soft, saggy, and less functional. To support muscle mass one needs to sustain a healthy workout routine and proper dietary intake. 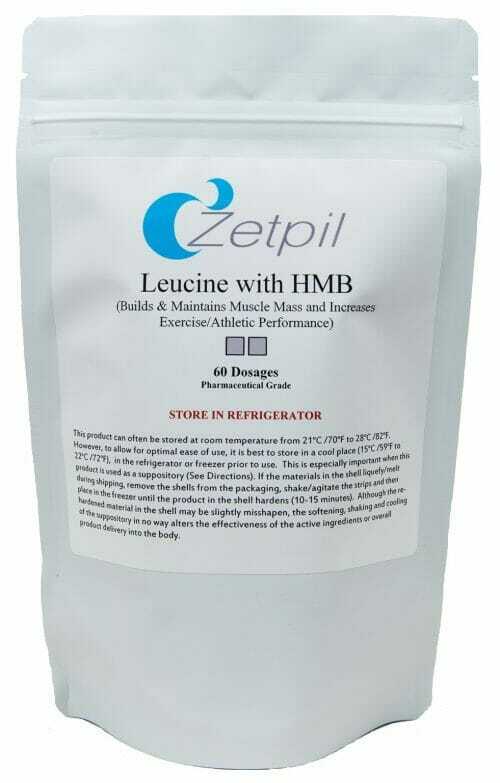 Zetpil Leucine with HMB Suppositories contain a highly absorbable form of branched-chain amino acid, Leucine – an essential nutrient used in protein synthesis in muscles throughout the body. Muscle catabolism refers to the process of muscle tissues breaking down into smaller and more loosely bound segments. This causes muscles to develop a soft, sagging appearance. It also reduces their functionality. Muscle catabolism occurs for a number of reasons: advanced age, lack of exercise, or nutrient deficiencies. We can’t stop you from aging, or force you to go to the gym, but we can provide some essential nutrients your body needs to support a healthy muscle mass! Branched-chain amino acids are essential nutrients. This means that they can’t be produced in the body, so they are most commonly obtained from breaking down proteins in the foods we eat. After being broken down and absorbed in the digestive system, branched-chain aminos play a pivotal role in protein synthesis in muscles throughout the body. Leucine is one of the most primary of these branched-chain aminos. Suppository Base: The base is a proprietary combination of plant and fruit butters, vegetable acids, medium chain triglycerides, phospholipids, lecithin, vegetable starches, guargum and xanthan gum. 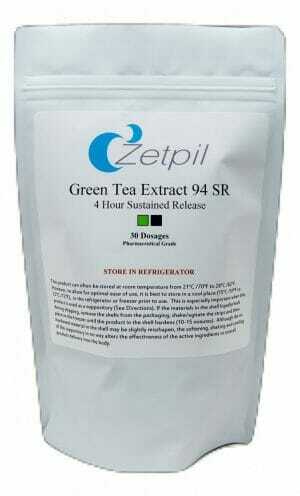 Other Ingredients: This product contains an extract from soybeans. This product contains NO milk, egg. fish, peanuts, crustacean (lobster, crab. & Shrimp), tree nuts. wheat, yeast, corn, rice, sugar, preservatives or hydrogenated oils. It is recommended that the suppository be retained for approximately 10 (ten) minutes to insure adequate absorption of the ingredients contained herein. To facilitate insertion it is recommended you moisten suppository with cool water.